Cornwall is like my second home. I've been every year since I was 11 months old, bar 2 years. Sadly can't afford to go this year as well as the Florida trip, so I'm having to miss a third occasion! Cornwall is a place that is always so calming to me. Lots of countryside, beaches, clean air and quaint little seaside towns. Along with all the lush countryside, there are a plethora of places to eat - and as someone who has ate in like 90% in Cornwall, I can say I've tried a lot! 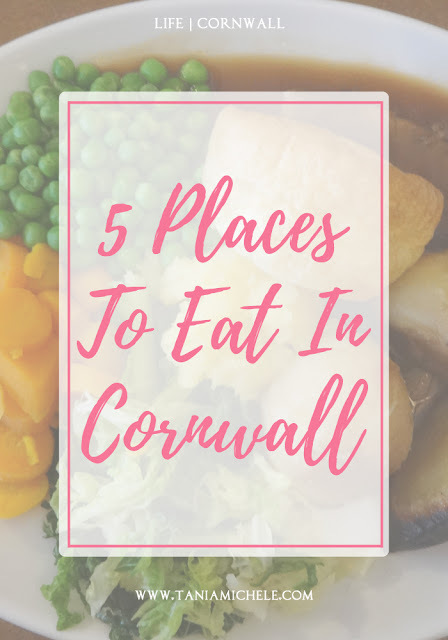 These five places are ones myself and the family visit each time we go on holiday there, and I've yet to be disappointed in a single meal from any of these places. Just around the far end of the high street, and on the way to Fistral Beach and the Headland Hotel, this pub/restaurant is perfect for lunch and dinner. It gets very busy, very quickly between 12 and 2 in the afternoon, so getting there a little early is wise! They have a wide range of foods - my dad is a fan of their steak pies, and my sister loves their cheese sandwiches - and it's always a big portion, so you won't be hungry. Above is my fave meal at the Fort Inn... My trusty chicken and bacon caesar salad! No, not where Trump resides... Above is another chicken and bacon caesar salad, which again, I have each time we go here. We usually eat here 2-3 times each holiday, as it's on the way home from a few locations so is easy to access. They have a lovely roast dinner buffets on Sundays, and there's a couple of large pool tables and fruit money machines to play on! 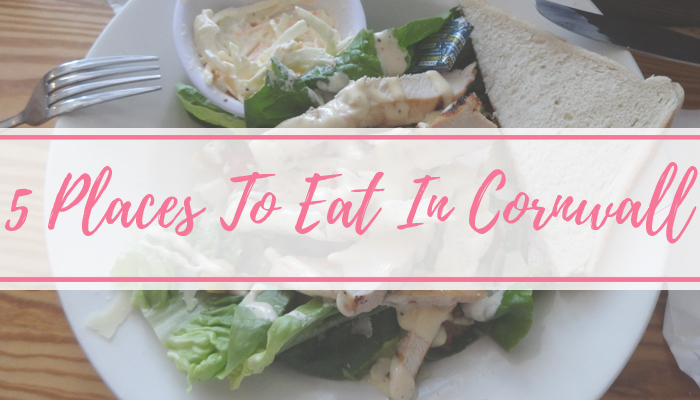 We've been eating here every year we've gone to Cornwall during our Looe visits. They have a good range of dinners on offer, but me and Dad religiously have their roast dinners as they're sooooooooo yummy! Above is a nice beef dinner, which is delicious and a nice serving of veggies when you've had nothing but junk food all holiday! This pub is a new fave from a few years ago! We drove past it one day and Dad made it his mission to go back for food one afternoon. We were not disappointed! The staff were super friendly, and the owner was having a chat with a load of the customers, which was a lovely touch to the atmosphere! The portions are massive here, and the burger and chips I had above, were only half consumed! My Dad and Grandad both had super large cod and chips which took them nearly 30 minutes to polish off, so you could easily split some meals between two people. Ahh the new fave! This is one we sadly can't go back to all that often as it's very out of the way for us to get to! Where we stay is a while away from Tintagel, and though there isn't a great deal to do there, this pub is honestly worth the trip. Tintagel is the supposed home area of King Arthur and Merlin, so there are a lot of visitors there each year, and the pub is named after the famous King! There's free WIFI, which is always a bonus, and the food is amazing. I had this beauty of a Ploughmans salad when we went the first time, and it was the best dinner I had the whole holiday! Wait you had a square burger? It looks delicious. Well done for picking healthy salad haha.